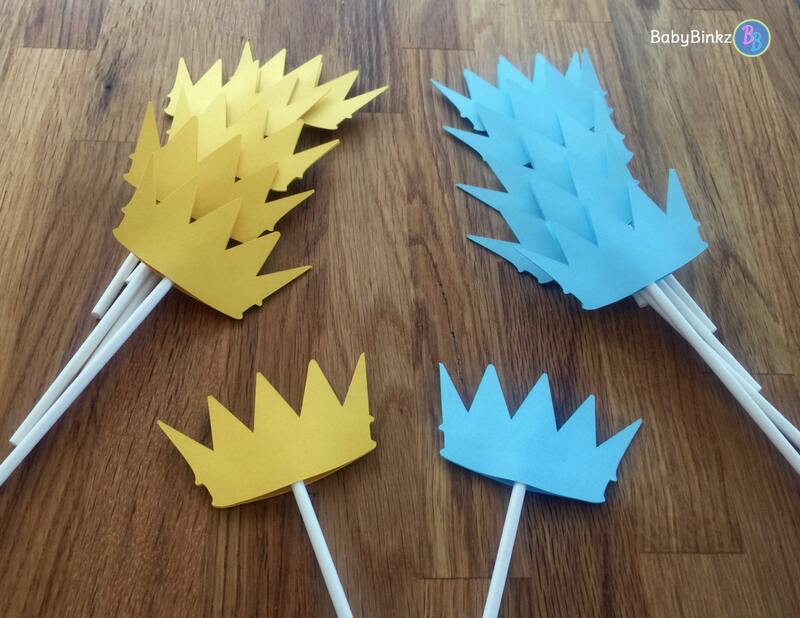 Planning a Little Prince themed party? 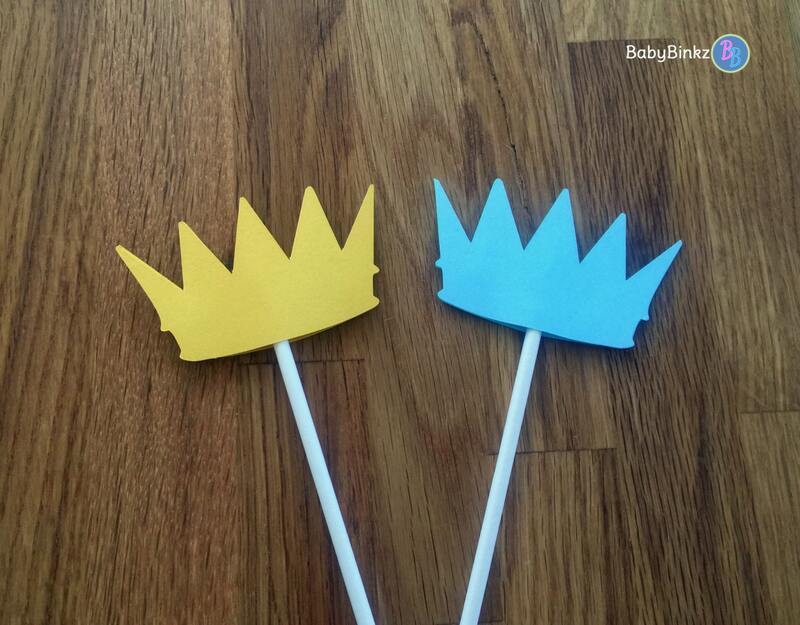 Our Blue & Gold Crown Cupcake Toppers will be the perfect addition! Each set includes 12 double-sided die cut cupcake toppers constructed from two layers of heavy weight card stock. 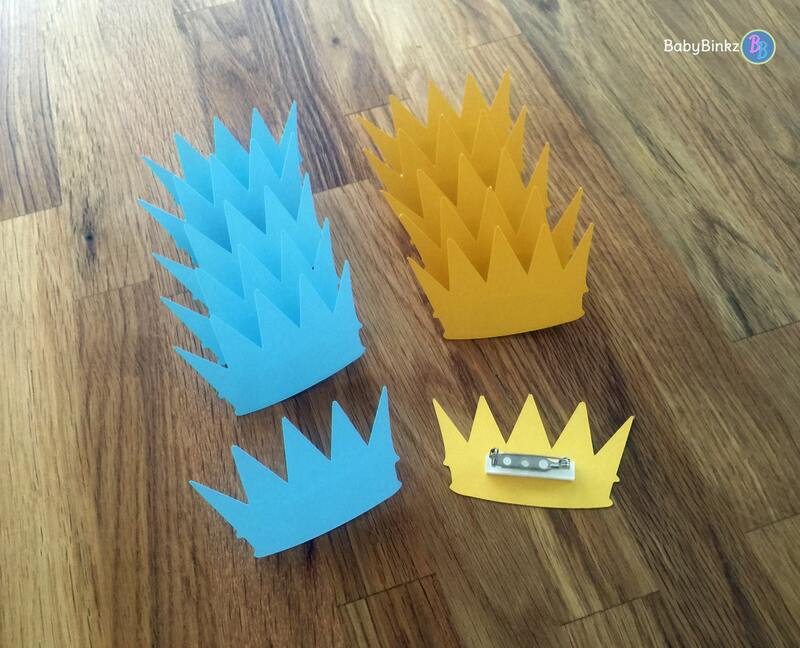 You will receive six (6) Blue Crowns and six (6) Gold Crown cupcake toppers! They are mounted on a 4.5 inch lollipop stick to add dimension.